The latest version of Nokia C3-01(RM-640) flashes files packs latest Version RM-640 For India which is the final version for all type of Nokia flashing devices just select model no and files will auto added on flash tab three basic files of Nokia C3-01(RM-640) MCU, PPM, CNT files. On this flash files pack we give the full flash files Pack for your region so if you want to download Nokia C3-01(RM-640) flash files pack then you can download this pack easily just clicking on Download Link. We share two working download links for easy to download also share old version files if you want to install an old version of flash files or if you want to change language file then select PPM file to change the language also we added flash tool for your Nokia C3-01 if you want to flash your phone at home then you can do that easily you just need to install all the USB drivers and then download Nokia care suite from our site and reinstall or update your Nokia phone at home. If you just want to change the language of your phone then just click on Infinity box Nokia best flashing tool language change only box then your phone language will be changed or if you have forgotten passcode of your phone then you don't need to full flash your phone just on service tab of your Nokia best-flashing device just click on format/factory reset your Nokia phone,s all setting will be reset to factory. Nokia C3-01 is latest version flash file for you and the version is 7.51 You can also download the Nokia C3-01(RM-640 Flash tool from this page the download link for the flash tool is also given at the last of this page. The flash tool will also help you to flash your phone through a USB Cable. You can easily use any flash tool to flash your phone and install the firmware on your Nokia Asha 500 mobile phone. 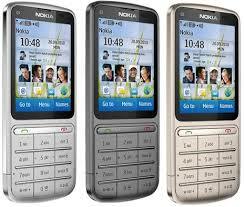 You can use ATF Box or Infinity Nokia Best to flash your phone easily. To install the flash file on your phone the method is very simple and easy but always remember that the flashing is a risky method of resetting your phone. How to flash C3-01(RM-640) phone? C3-01(RM-640) is BB5 based phone so if you want to flash this phone then you need to select BB5 band on you flashing tool then select RM-640 then one by one flash files on the tab then connect USB flashing cable with your phone then flash. That firmware file is only for only for Nokia C3-01(RM-640 don't try to install that firmware on other models of NOKIA devices that can destroy your phone.